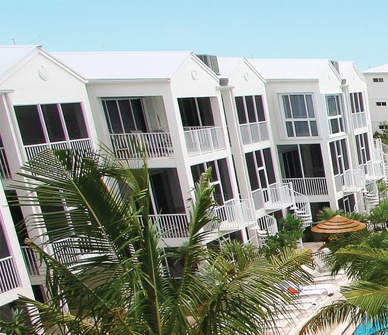 In addition to Indigo Reef’s state-of-the-art docks with a full-time, on-site dock master, private boat slips, and dramatic waterfront swimming pool, and private in Villa Spa services, resort guests may also take advantage of the Adventure Concierge Program. 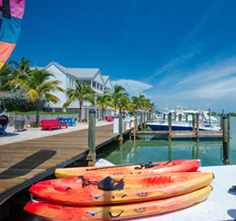 With expert knowledge of local Florida Keys attractions, the Adventure Concierge would be pleased to coordinate your personalized fishing, eco tours, watersports, sunset cruises, diving or snorkeling excursion during in Marathon Florida vacation. Reserve your in-room spa services and golf and tennis outings. Extreme adventure activities, including skydiving, flying in a fighter jet and spear fishing are also available as exciting things to do in Florida Keys. 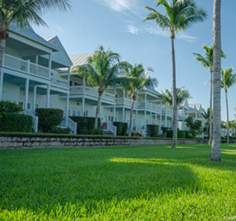 Indigo Reef resort is ideally situated next to a 24-acre nature preserve, which is part of the picturesque Florida Keys Ecosystem Tropical Flyaway Preserve. 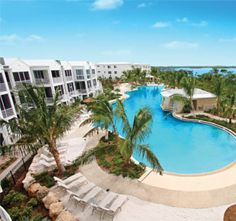 Convenient shopping, great dining and an abundance of Florida Keys’ attractions are nearby. Add state parks with incredible beaches, protected waters for diving & watersports and some of the best sport fishing in the world and experience the perfect Marathon vacation rental destination. Don’t Miss these Middle Keys Attractions! Bahia Honda State Park is renowned for having one of the world’s top beaches and being home to rare species of plants and animals. Crane Point is a 64-acre protected park housing the Museum of Natural History, Children’s Museum, Adderley Town Historic Site and Marathon Wild Bird Center and marine touch tank exhibit. Sombrero Reef is located at Mile Marker 50, Oceanside, and is known for having one of the most breathtaking areas within the Keys’ living coral reef. Sombrero Reef is protected by the Florida Keys National Marine Sanctuaries and popular for those who enjoy snorkeling and diving. 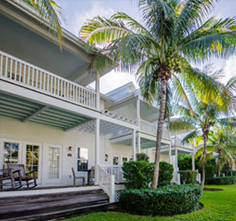 Sombrero Beach is a 12.6-acre beach and one of the most popular vacation areas in Marathon. Renovated in 2003, the beach features creative landscaping, walkways, picnic areas and a roped off swimming area. Dolphin Research Center provides fun for the whole family, offering memorable encounters with marine mammals. Turtle Hospital is located next door to Indigo Reef and is dedicated to the health and preservation of sea turtles. Take educational tours and a behind-the-scenes look at the rehabilitation of sick and injured turtles. Pigeon Key is listed on the National Register of Historic Places, as a construction and maintenance camp for the Overseas Railroad during the early 1900s. Seven Mile Bridge is the longest bridge in the Keys and is located at the southern end of Marathon, measuring 35,716 ft.
Coco Plum Beach is a small, quiet, dog-friendly beach. Marathon Key offers big game fishing in the Keys just minutes from the dock of your luxury Marathon Florida vacation beach home. Both experienced anglers and fishing novices relish our ideal location offering convenient access to unforgettable fishing vacation experiences. Enjoy the Atlantic Ocean for blue water offshore fishing and the Gulf of Mexico for backcountry fishing. We additionally have an expert group of seasoned captains poised to share with you their great love of fishing in the FL Keys. Marathon offers some of the world’s best diving and snorkeling in Florida. Beginning just three miles off shore is the only living coral reef in North America. Divers and snorkelers have easy access to mysterious wrecks, outstanding coral reef ecosystems and one of the largest selections of marine life in the Caribbean. 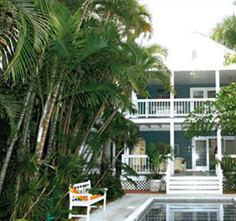 Enjoy the paradise of the Keys on the water! Turtle Island, our onsite water sports center, will help coordinate all of your activities during your Marathon vacation. Considering a parasailing adventure and bring your experience to new heights. With the wind at your back, let Turtle Island introduce you to the excitement of Kiteboarding in our two-day course. Hop on a Wave Runner or kayak and experience Turtle Island’s guided eco tours. Be amazed by the tropical wildlife that makes the Florida Keys a truly wild paradise.